It is hard to resist an Australia geneameme. Thanks Pauline from "Family History Across the Seas" for opening up this challenge. I think you would have to agree that over the last 25 years there has been a wonderful resurgence in the celebration of Australia Day. Present day celebrations is a time for all Australians no matter their background to celebrate their life in Australia. A time to celebrate our diversity, internationalism and of course our idiosyncrasies. Here is my contribution. arrived with their family in 1827 on the "Norfolk". Lynn was a soldier in the Royal Veterans Corps. I have Australian Royalty (tell us who, how many and which Fleet they arrived with): Only one convict that I know of, Charles Webb, he was sent to Australia in 1827 for pig stealing. I’m an Aussie mongrel, my ancestors came to Oz from: Scotland, UK Germany, Canada and Ireland. How many ancestors came as singles? There are three who came out on their own. How many came as couples? Most came out in family groups, however two sisters Emma Jane and Mary Ann Weston came out together in 1856. How many came as family groups? Six families came out in groups, the largest being the Golding family. 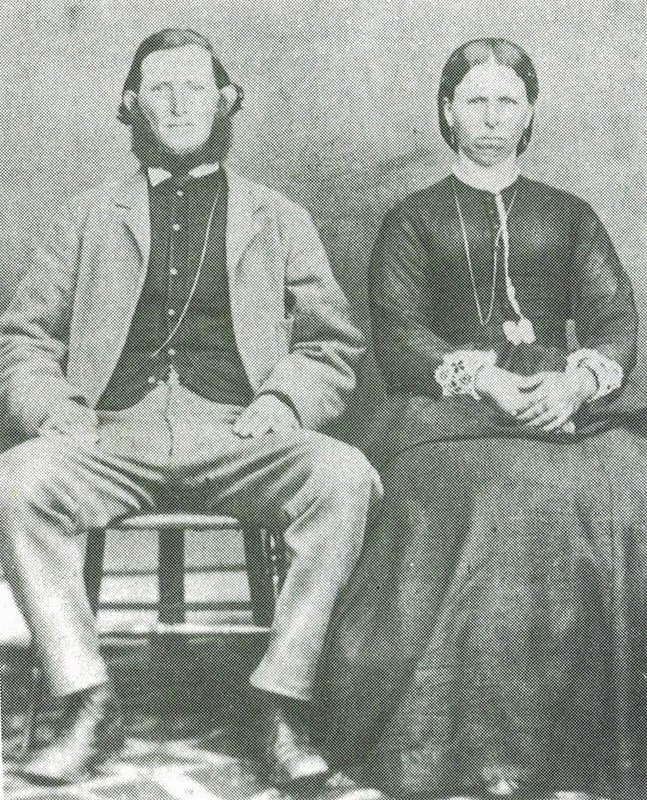 Three generations of the Golding family came from Oakington, Cambridge on the "Epamidonas" to South Australia in 1852. Did one person lead the way and others follow? Yes in the case of Emma Jane and Mary Ann Weston, their Uncle Alfred Weston arrived a couple of years before them. What’s the longest journey they took to get here? I can't be sure of this. Did anyone make a two-step emigration via another place? Yes, my ggg grandfather Donald McDonald was from Williamstown, Ontario, Canada. At a young age he went to seek his fortune on the gold fields of California, then he immigrated to Australia with some friends to work in the gold mines in the Braidwood/Araluen district of New South Wales. Which state(s)/colony did your ancestors arrive? South Australia, Victoria, New South Wales and Western Australia. Did they settle and remain in one state/colony? Yes, some from South Australia to New South Wales and Western Australia. Did they stay in one town or move around? A number of the families moved from town to town following the gold discoveries, then when the gold ran out, they went into farming and small businesses such as carriers and shopkeepers. Do you have any First Australians in your tree? No. Were any self-employed? Yes, farmers, miners, carriers, shop keepers. What occupations or industries did your earliest ancestors work in? Soldier, farming and mining. Does anyone in the family still follow that occupation? No. Did any of your ancestors leave Australia and go “home”? No. What’s your State of Origin? New South Wales. Do you still live there? Yes. Where was your favourite Aussie holiday place as a child? My Nanna’s place at Milton, close to the beach at Mollymook and Ulludalla on the South Coast of NSW. Any special place you like to holiday now? There are so many areas of Australia that I would like to visit, one that is high on my list is Western Australia. It would be great to have some time to drive up its coastline! Share your favourite spot in Oz. There are lots of lovely places in Australia but I do have a soft spot for the Blue Mountains, Katoomba and the village of Leura. I think my childhood was a bit of an Aussie Adventure, I spent the first 10 years of my life on a sheep station in outback New South Wales near the Opal mining town of White Cliffs, where I did School of the Air and Correspondence School. We then moved to another property near the town of Quambone, for a year. Here my sisters and I had our first experience of real school, in a small two classroom school (one for infants and the other for primary students). From here we moved to Gulargambone (you have to love the names) where I completed primary school, before being sent to Dubbo High, (boarding at a girls hostel) for my first year of High School. Then, my father took up a position on a property in the Riverina District, and I completed most of my high Schooling at Griffith High School, which at that time had 1600 children attending. A big change from my primary school years! What’s on your Australian holiday bucket list? The wineries in WA, Ayres Rock, Broome are among the many. 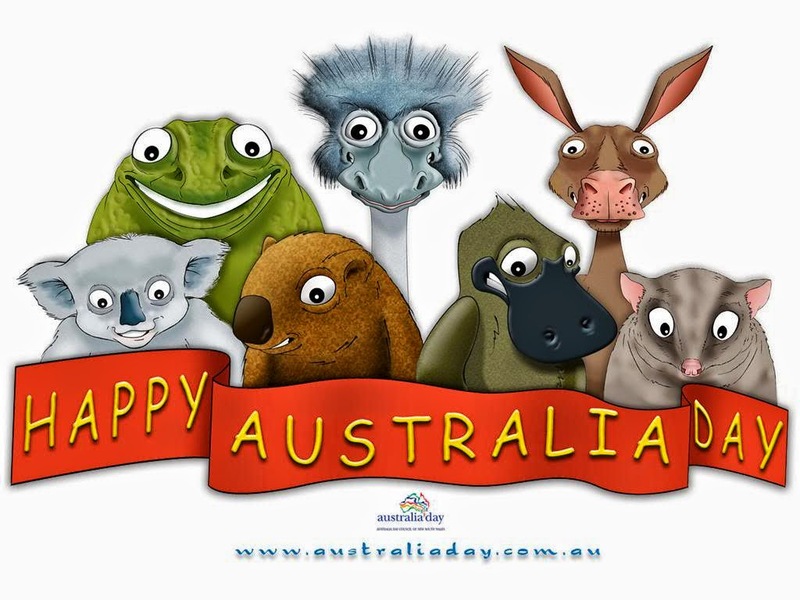 How do you celebrate Australia Day? We usually have a barbeque with family and friends at the beach or in someone’s back yard. Yes, gotta love the Aussie place names. I grew up in Longerenong in Victoria, just near Dooen and had a similar experience with school - going from a one room school of 19 kids to a high school of just under 1,000. I can't imagine a school of 16,000! He he, at is what you get when you write late at night. Should be 1600, thanks for picking it up. Now corrected, I would hate to think that Aussies had a reputation for exaggerating. Diane, you must be elated to the Golding family in Victor Harbour then! Wow! Stephen H Golding, aka Henri Golding, early SA photographer, was a first love of my maternal grandmother Lucy Langthorn. She kept his postcards which he printed himself and wrote to her. Handed down to my mother and then to me. In the end they parted. She married my grandfather after WW1. But I've found it fascintaing over the years to work out who they were from and something about him. At first i thought an exotic Frenchman. But no, someone with artistic leanings it seems. Hi jenni, nice to connect again. You contacted me through Ancestry a couple of years ago (Shepherd Family Tree) and sent me a scanned copy of the cards. Such a lovely story. I am a descendant do Jacog Golding , see my blog http://familystoriesphotographsandmemories.blogspot.com.au/2012/10/jacob-golding-1839-1907.html, nice to chat again. You certainly have early ties to Australia. It is hard to imagine what it would have been like as such a new colony in 1827. Yes I agree. Your childhood does sound like a very "Aussie Adventure"
Hi Sharon, yes in am from old Aussie stock, all my ancestors came over between 1826 and the 1850's. Guess they were all looking for a better life. You certainly did have an interesting childhood. I can relate to feeling a bit overwhelmed, as I did when we moved from a small village in NSW to Brisbane... and a change of school numbers from maybe, 100, to quite a few hundreds. I don't think I'd ever seen so many people in one place other than on a trip to Sydney. No new posts - There will be no new posts on this site. Please go to the blog on the main site for further updates. Thank you for visiting!